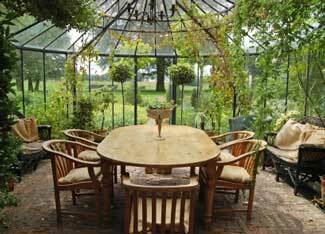 Do you have the luxury of having a four season room? 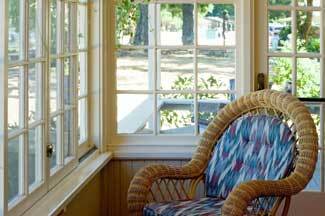 Our good friends, Dan and Rosemary, have one and they tell us that they spend hours there every day - listening to music, reading and relaxing. 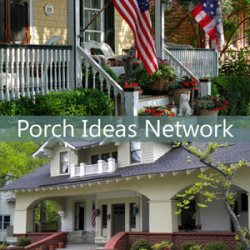 Properly oriented, these special porches and their counterparts act as solar heaters. 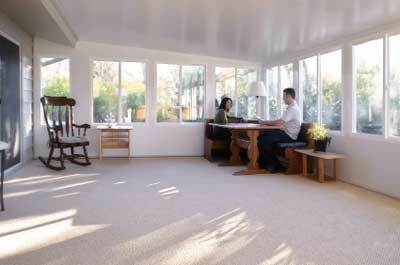 The heat can also then be transferred to other parts of the home. 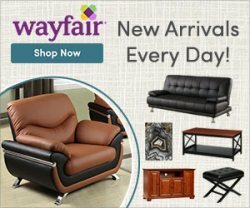 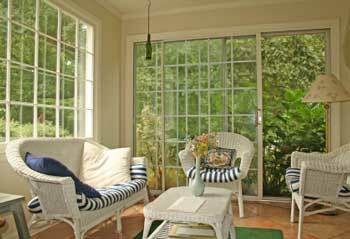 Here are our picks for wonderful all season room plans that you can acquire from Family Home Plans to build your new all season outdoor room. 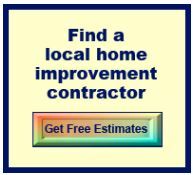 Just click on the picture or caption to learn more. 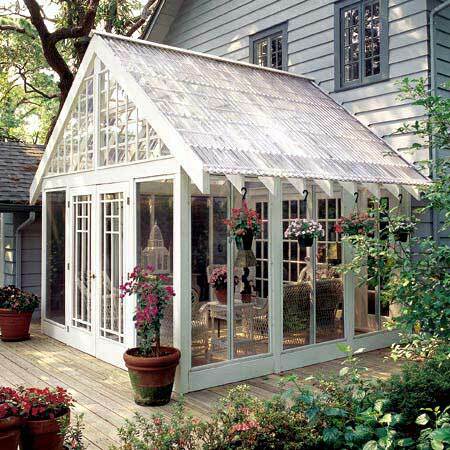 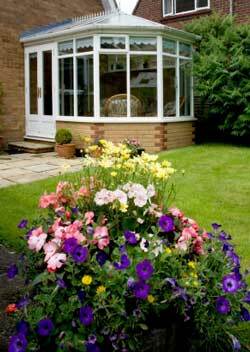 How about a conservatory as an entrance to your home? 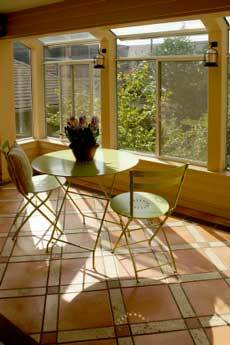 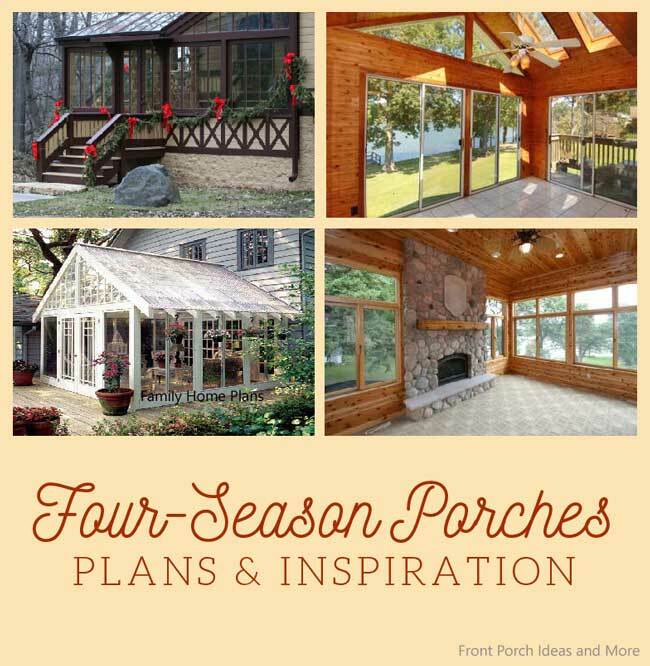 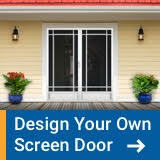 See our response to a query regarding converting a screen porch to a four season room. 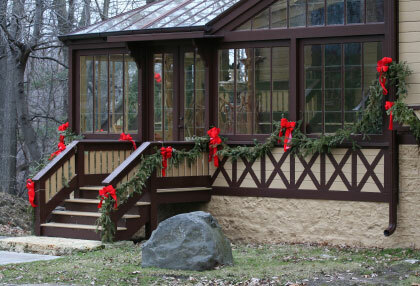 This all season porch belongs to our friends, Lou and Helen. 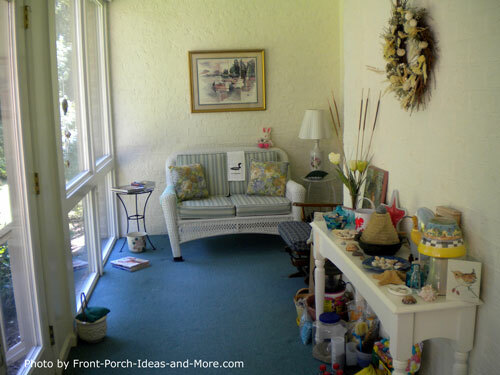 Notice their fun seashell collection from New England where they used to live. 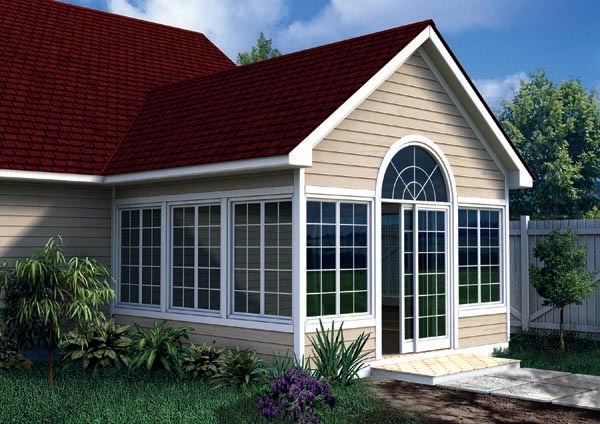 Most building codes require a foundation with a perimeter footing below the frost line. 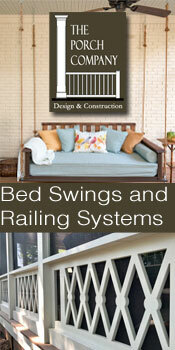 Check your local building codes. 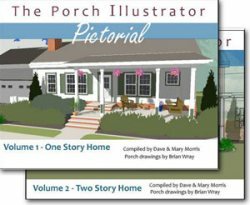 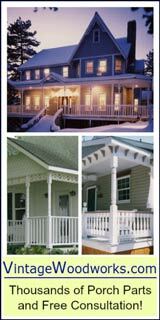 Building an existing porch into a 4 season porch is doable if you have the right skills and knowledge or willing to invest time into learning exactly what's needs to be done. 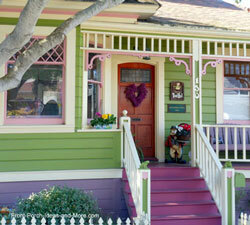 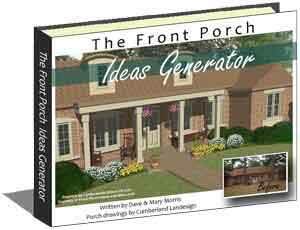 Check out our Build your own front porch section for more details before you tackle this project! 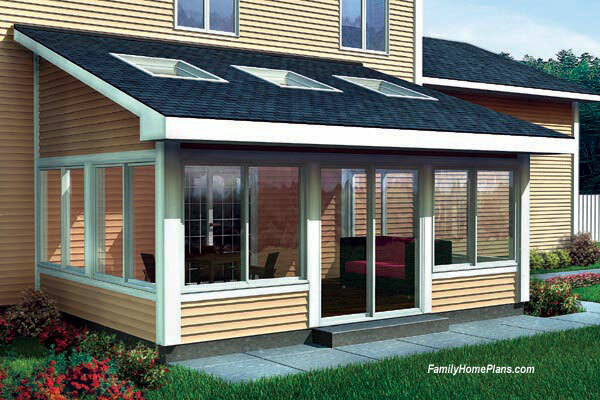 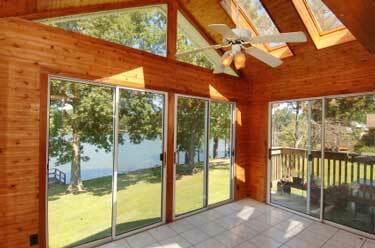 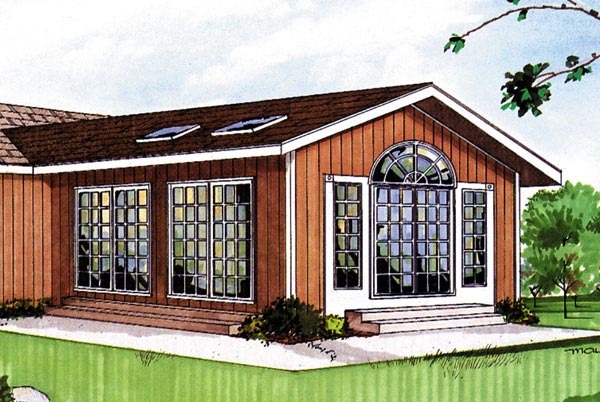 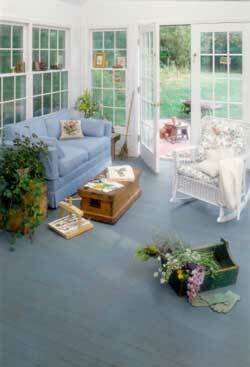 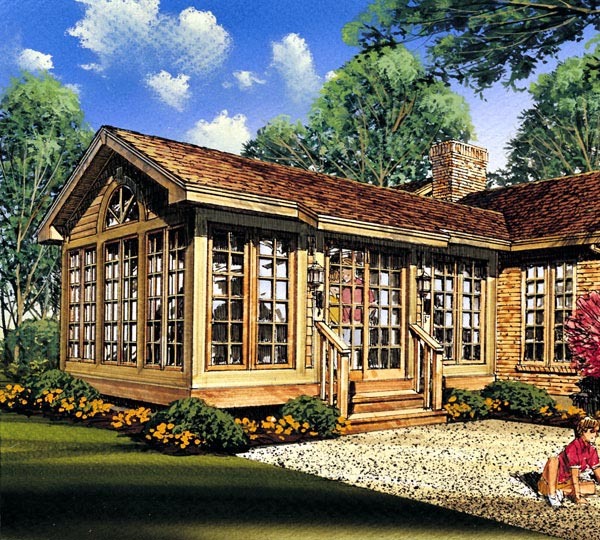 What kind of sunroom do you like?